Preserving biological samples against contamination, which can be caused merely via exposure to the environment, is paramount for those operating in the fields of pharmaceuticals, biopharmaceuticals, diagnostic and testing laboratories, and research academies. The purpose of protecting against pathogens is adequately served by biological safety cabinet, or simply biosafety cabinet. These enclosed and ventilated devices are developed in various categories, depending on the level of protection they provide. On the back of increased investment on research and development activities, both from public and private domains, the demand for biological safety cabinets is expanding, as per the findings of this business intelligence study. This biosafety cabinet market report has gauged the demand potential for the forecast period of 2017 to 2025. The trend that is restructuring the biological safety cabinet market is quality assurance certification that most of the leading manufacturers are aspiring to gain and install confidence among their prospected customers. For instance, NSF/ANSI 49 is the primary biosafety cabinetry certification, which tests for the basic requirements pertaining to designing and performance of biosafety cabinets and databases information on a product’s environmental protection reliability and durability, noise level control, vibration control, and electrical safety. Another niche that is emerging in the biological safety cabinet market is widespread adoption of automation across laboratories in terms of preparing and storing samples in a cost effective and time efficient manner. Strong prevalence of a number of chronic diseases that have urged strong investments on clinical research with favorable governmental policies, rapid growth in the number of biologics, and entrance of several newer innovative players are some of the other factors primed to reflect positively over the global biological safety cabinet market. On the other hand, high cost of the products and the availability of alternative containment cabinets are a few factors curtailing the progress. The global market for biological safety cabinet is going through a significant change where automation is being adopted in laboratories for storage, movement, and preparation of samples and considered to be cost-effective. There is a noticeable shift observed in the market as a high level of human involvement is now being reduced through automation. Safety and precaution in the market is said to be improved due to the use of automation. Rise in automation has helped in increasing the demand for automated laboratories; it has also improved conditions that lead to contamination and reduced the risk of infection. Biological safety cabinet could be available in three main types: class I, class II, and class III. As there is a higher risk of foreign agents entering samples and greater probability of contamination through various infections, an improved level of protection through biological safety cabinet is required. 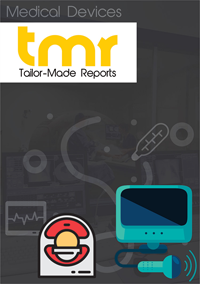 Furthermore, rapid automation in the global biological safety cabinet market is expected to make more improved solutions available to end-use industries. The scope for rise in demand for biological safety cabinet could rely on its diverse market categorization and the large number of end users from pharmaceutical and biopharmaceutical companies. Other contributors to the world biological safety cabinet market could be made by testing laboratories, diagnostics, academics, and research institutions since these are areas that require a large amount of testing and researching. Increasing growth in these areas could be due to rising count of research and development institutions, where the need for safety is high as they continuously deal with biological diseases. Two important classifications of end-use industries using biological safety cabinet could pharmaceuticals and biopharmaceuticals. Swelling demand and automation in the world biological safety cabinet market could benefit the restructuring of laboratories for making them safe for use and free from infections. Introduction of laminar flow, automated air barriers, and emergency biosafety cabinets is said to be one of the vital changes brought about to refine the operation of laboratories. In early June 2018, Thermo Fisher Scientific opened its Precision Medicine Science Centre (PMSC) in Cambridge, MA for the U.S. market. The main focus of the center is that it provides ‘omics’ technologies and also exhibits collaboration that will help develop analytical workflow generating precise molecular profiles of patients. The company has also used newer technologies for better development and researching novel ways of treatment. In this regard, it could be said that introduction of new facilities and extension of geographical presence could be leading strategies adopted in the international biological safety cabinet market. Regional contributions to the international biological safety cabinet market could come from North America, Asia Pacific, and Europe on a high scale. There is a telling increase noted in biomedical research and research and development by pharmaceutical companies in North America, which could make it a larger contributor to the global market. Factors anticipated to support North America’s lead include increasing stem cell research, growing government contribution, support for research in the U.S., and growing government support in protein drug development in Canada. Apart from these specified regions, market growth could also be witnessed in other regions as well. With the efforts made through automation and tough competition among small and large players, the market for biological safety cabinet is predicted to see new avenues opening up. The market may go through a phase of stiff competition owing to launch of new products, upgrading of older products, and integration of newer applications in various product offerings. The market could keep experiencing a greater level of competition with growing number of players focusing on securing a larger market share.